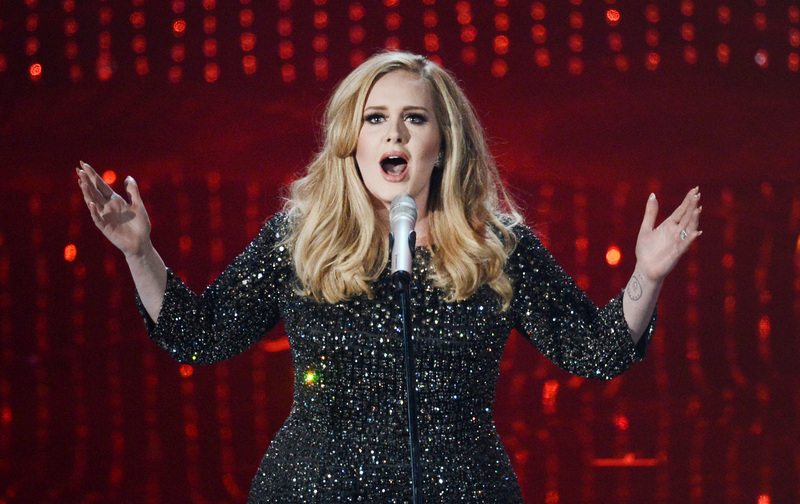 This is not a drill, people: Adele's new album, 25, is now streaming on Pandora. It's a Thanksgiving miracle! Pandora made the big announcement on its official Facebook page on Tuesday afternoon, and fans of the 27-year-old British diva have been jumping for joy ever since. Adele ruffled some feathers last week when she opted to keep 25 off popular streaming services like Spotify and Apple Music. In response to her decision, Spotify said in a statement: "We love and respect Adele, as do her 24 million fans on Spotify. We hope that she will give those fans the opportunity to enjoy 25 on Spotify alongside 19 and 21 very soon." So, no, this isn't a perfect solution to the problem, but it does allow people to check out 25 before they buy it, which I think is really important. Amazingly, Adele's decision to keep 25 off Spotify and Apple Music doesn't seem to have hurt her sales numbers one bit: On Tuesday morning, it was announced that Adele had broken *NSYNC's single-week U.S. album sales record with 25, selling approximately 2,433,000 copies in just three days. Whoa. And with three more days left in the sales tracking period, this already tremendous figure will undoubtedly continue to grow. That's the power of Adele for ya! Who knows what record she'll break next? Now, go listen to 25 on Pandora. Trust me, you'll be so glad you did.